Combine travel aboard 3 renowned rail routes with visits to Chicago, New Orleans, Washington DC, and New York City for a memorable vacation through the Midwest, Deep South, and east coast. Combine three fantastic rail journeys with visits to four of America’s top cities for an excellent train vacation in the Midwest, Deep South, and east coast. Begin in Chicago where highlights include the picture-perfect lakefront, great cultural activities, and towering skyscrapers. Travel by overnight train to New Orleans where the lively French Quarter, swamps and bayous add extra spice to your travels. 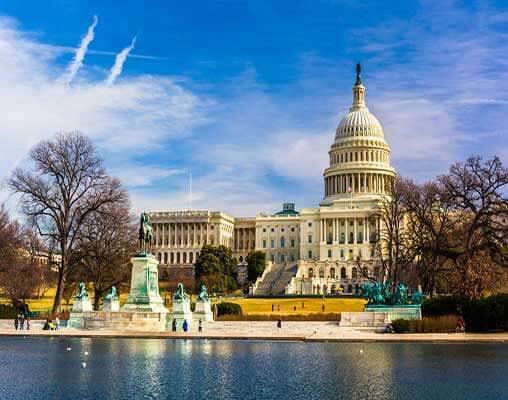 Continue by train to the nation’s capital and explore famous monuments and museums before hopping on a day train to the “city that never sleeps,” New York City, with visits to the Statue of Liberty, 9/11 Memorial and Empire State Building. Itinerary is available Westbound, from New York City to Chicago, based on your travel preference. 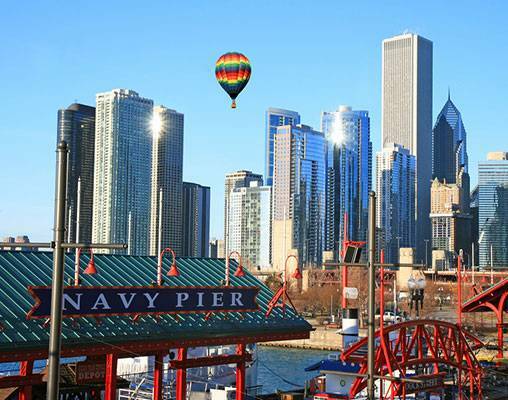 Arrive in the “Second City” and enjoy the sights with a hop-on/hop-off tour of Chicago's top sights and attractions. Tease your taste buds with a five-star meal at one of the many world-class restaurants or try a local favorite, Chicago-style deep-dish pizza. Enjoy a night at the Opera or a Broadway play at one of Chicago's historic theaters. Overnight Chicago. You have the entire day to explore the city. Visit the museums, stroll along Navy Pier, take a ride down Lake Shore Drive, shop the Magnificent Mile, and experience the art and architecture of the birthplace of the skyscraper. Overnight Chicago. Take your last day in Chicago to explore new aspects of the city, revisit your favorite sights from your stay, sample delicious cuisine, or shop for souvenirs. This evening transfer on your own to historic Union Station and board Amtrak's City of New Orleans for your 8:05 pm departure. Relax on the train and take in the evening views. Overnight train. The day starts with an up-close look at Louisiana's wildlife on a guided boat ride through the swamps and bayous. Keep an eye out for alligators, raccoons, snakes, turtles and more as you learn about the local Cajun culture and mysteries of the swamps and bayous. 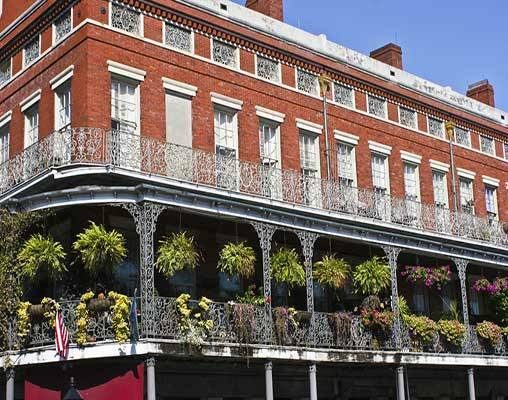 This afternoon take a guided walking tour of the French Quarter. 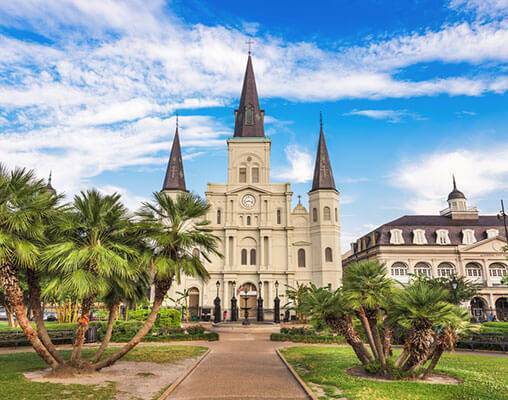 Your knowledgeable guide will introduce you to the history, mysteries, and architecture that surround one of America's oldest cities as you stroll through the quaint streets of the French Quarter, the French Market and Jackson Square. Overnight New Orleans. The morning is yours to explore New Orleans at leisure. Take a streetcar to Riverwalk Marketplace for some shopping. Visit the Mardi Gras Museum. Explore the Garden District and admire the antebellum homes. This afternoon you will learn the magic behind Creole cuisine during a cooking demonstration at the New Orleans School of Cooking. Spend your last night enjoying the beauty of New Orleans. Overnight New Orleans. 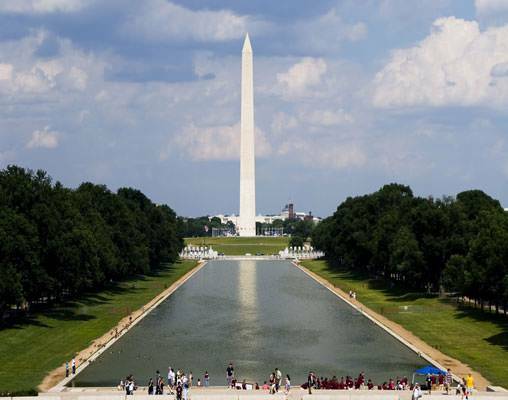 Take a trip on the Old Town Trolley and see all of the best sights in the city including a visit to Arlington National Cemetery. Spend the rest of the day admiring the Beaux Arts Architecture of DC and enjoying some of the finest restaurants DC has to offer. Overnight Washington, DC. Transfer on your own to Union Station for a 10:20 am train to New York City. Arrive this afternoon at Penn Station. 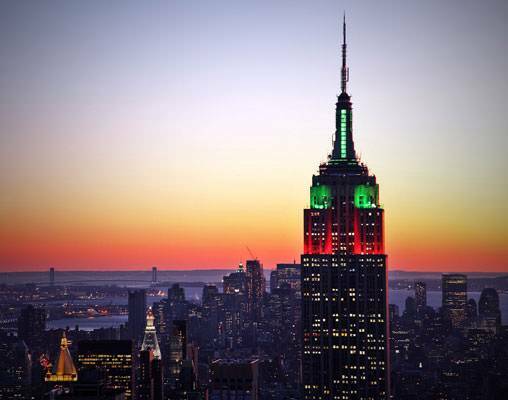 The remainder of your day in the “Big Apple” is yours to take a bicycle ride through Central Park, visit the Museum of Modern Art, or enjoy a musical at the theater. 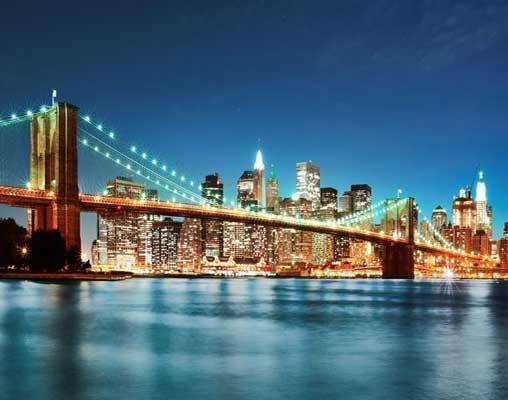 There are so many things to do in New York! Overnight New York City. Spend the day visiting more than 30 of Manhattan's must-see sights on a Hop On/Hop Off double-decker bus tour. Highlights include Lincoln Center, the Metropolitan Museum of Art, Greenwich Village, Battery Park and more. Overnight New York City. Overnight New York City. Your adventure ends with an independent departure home. Hotels are the Palmer House Hilton, Hotel Monteleone, Sheraton Washington DC and Sheraton Times Square. Amtrak accommodations are available in Coach class, Roomette and Bedroom. Coach accommodations include a reclining seat with leg rest. Roomette accommodations include a private cabin that features two comfortable seats beside a picture window during the day, which converts to an upper and lower berth at night. Bedroom accommodations feature a sofa and chair by day and upper and lower berth by night. Bedroom accommodations also include a sink and self-enclosed toilet and shower. Enter your details below if you would like to be notified when 2020 dates and prices are available for Chicago, New Orleans, Washington DC, New York City. Prices are land-only, per person based upon double occupancy. Prices are correct at the time this web page is published; however, are subject to change. During Festival time such as Mardi Gras and Jazz festivals, certain sightseeing is not available. Swamp and Bayou tour in New Orleans is seasonal operating from March 1-October 31.